Loose green tea was popular in China prior to the 1700s, but the demand for black tea overtook green tea in the later part of the century and soon milk was being added to create what would become Britain’s national hot drink, the cuppa. By the 19th century, tea-drinking had spread, and Indian tea was being grown on a huge level, both to meet local demand and for exportation around the world. Everyone has an opinion on how to make the perfect cup of tea, and this great tradition perhaps finds its roots in the introduction of a small strainer known as a ‘tea ball’, which was temporarily placed in the water to prevent leaves being left loose in the pot. It seems logical then that the idea of tea bags may have come out of this. In fact, like many of the best inventions, the tea bag’s arrival on the tea scene was an accident. A nice cup of char anyone ? The common term a nice cup of “char” for a cup of tea is thought to be derived from one of two possible sources. “Char” is most likely the Anglicisation of the Indian word for tea carried here from the early days of the British Empire and the trading activities of the East Indies Company. 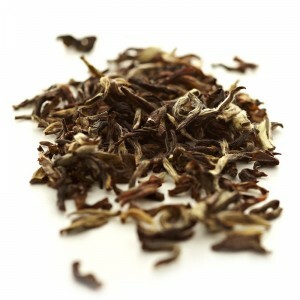 It origins may be from even further east as the word also sounds similar to the Chinese for tea, “tcha”. In the early 19th century, Thomas Sullivan, a New York entrepreneur and merchant of fine teas, attempted to improve his marketing strategy by mailing samples of tea in silk sachets to potential customers. Sullivan’s customers perceived the neat little bags as being intended for the brewing of the tea. Impressed by the ‘innovation’, they sent Sullivan letters commenting on his Innovation, adding that the only problem with the bags was that the silk was too fine a material to allow the flavour of the tea to fully seep through into the water. Sullivan began improving the design, but it was Joseph Krieger who became known for delivering the first finished tea bag to the world. The innovation was raved about for its convenience and clean practicality. In the early days it only took off in professional catering circles, but after the Second World War the tea bag found its rightful places in homes and mugs everywhere. Many tea purists were opposed to this new-fangled method of brewing it, but the 1950s craze for luxury, must-have household gimmicks and gadgets of convenience ensured the tea bag was heartily embraced by those with no time to worry about fussy old traditions.